The famous Indian Chief and prophet was once jailed here at Fort Spokane for years without trial. This jail cell has harbored many a man; frontiersmen, troublesome soldiers, and defiant Indians. One of the most infamous prisoners was the shama q,olá’ skin, known in English as Skolaskin, who founded a new religion among his native followers. Skolaskin was born in the Sanpoil settlement snuke’ilt, meaning brush spring, on the Columbia River in 1839. When Skolaskin was twenty he won a blanket while gambling with an elderly, crippled man and soon after, he became bedridden, covered in sores and unable to move his legs. Respected shamans were unable to cure him. After two years of paralysis, one day Skolaskin lost consciousness. While his family prepared for his burial, Skolaskin woke up singing and explained that he had a message from the powerful one, called qwilan tsu’ten. The Indians must no longer drink, steal, or commit adultery, and they must pray to a new god. Astonished villagers saw Skolaskin as a prophet, who, although not completely recovered, was brought “back to life.” For the rest of his life he could only walk in a stooped position with both hands resting on his knees. 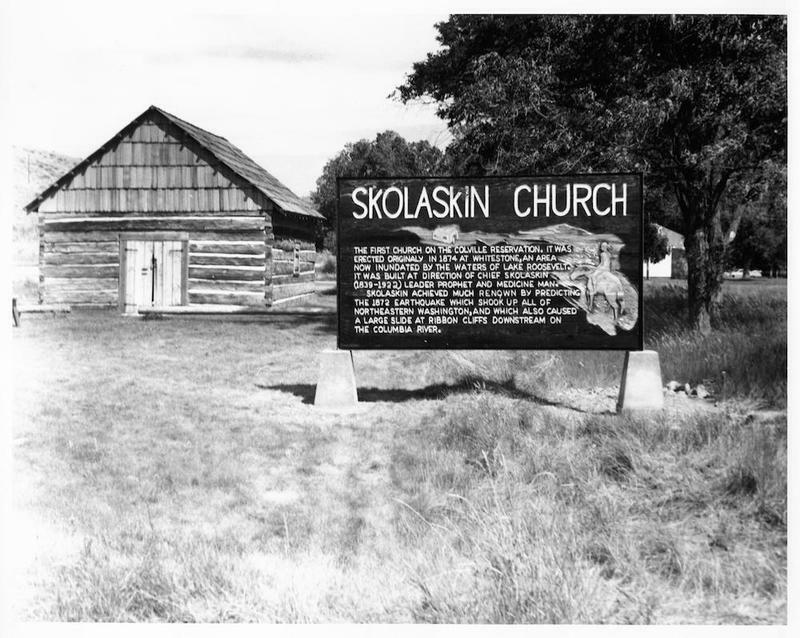 Skolaskin became chief of Whitestone, an village near the Nespelem Valley. Skeptical but curious crowds gathered around Skolaskin. His fame grew as a prophet and his revelations included a great flood that would destroy the world unless his people built a sawmill near the church and used the lumber to build a boat. He believed a male and female of every animal and bird would be put in the boat, then the rain would come and flood the earth. In 1873, Skolaskin journeyed to Kataro, in Southern Okanogan territory, where he once again predicted disaster. An earthquake, a level 8 on the Rossi-Forel scale, occurred that night, on November 22, 1873. After the earthquake, Chief Skolaskin exerted even more power over his people. He punished natives for adultery, stealing, and intoxication. His followers were forced to work at the lumber mill, and the disobedient were sent to a hole in the ground covered with planks. Officials at Fort Spokane were unsure how to handle Skolaskin’s rise to power and his refusal to obey American authority. In 1889 one of Skolaskin’s policemen, Kannumsahwickssa killed a Sinkiuse Indian, Ginnamonteesah. The American district attorney said he wanted nothing to do with this “inconsequential” affair, since it was a case of one Indian killing another, but officials from Fort Spokane arrested Skolaskin and carried him to the fort by mule. He was released a few days later on the condition that he deliver up the murderer, but after failing to do so, Skolaskin was again taken into custody and sent to McNeil Island federal penitentiary. Though never given a trial, Skolaskin spent three years at McNeil and we then sent to Alcatraz, where he languished as a political prisoner for another nineteen months. Once Skolaskin returned from prison, he remained a Chief and advised his people to never trust the white men or the government. Toward the end of his life, Skolaskin converted to Roman Catholicism, and by the late 20th century, very few traditionalists still clung to Skolaskin’s religion. Fort Spokane ~ Source: Fort Spokane Flickr ~ Creator: Photo courtesy of the Lake Roosevelt National Recreation Area. 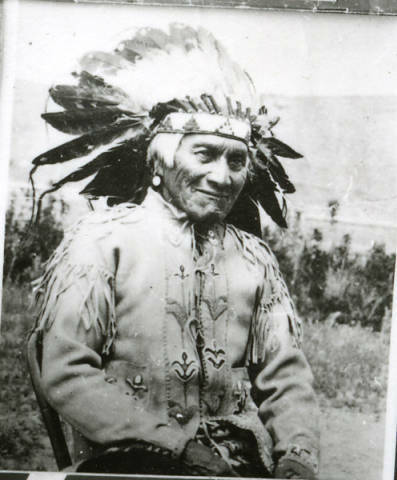 Nicolle Southwick, “Chief Skolaskin,” Spokane Historical, accessed April 20, 2019, https://spokanehistorical.org/items/show/672. 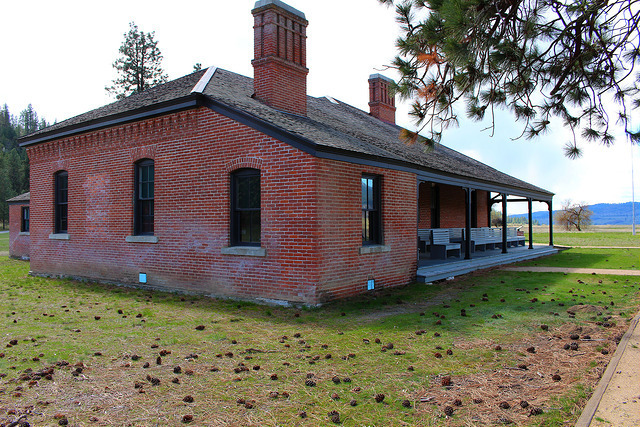 Chance, David H. Sentinel of Silence: A Brief History of Fort Spokane. Pacific Northwest National Parks Association, 1981. Hill, George, Dr Robert H. Ruby M.D, John A. Brown, Lynn Pankonin, and Robert L. Bennett. The Spokane Indians: Children of the Sun. Expanded ed. edition. Norman: University of Oklahoma Press, 2006. Ray, Verne F. “The Kolaskin Cult: A Prophet Movement of 1870 in Northeastern Washington1.” American Anthropologist 38, no. 1 (January 3, 1936): 67–75. Robert H. Ruby. Dreamer-Prophets of the Columbia Plateau: Smohalla and Skolaskin. 1st ed. Civilization of the American Indian Series. Norman: University of Oklahoma Press, 1989. Chalk Courchane. 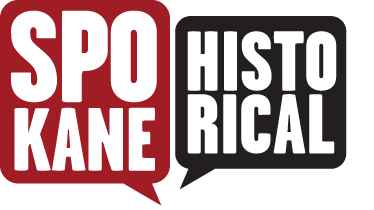 “Skolaskin” The Oregon Pioneers Accessed October 26, 2016. http://www.oregonpioneers.com/bios/Skolaskin.pdf. “Wichita Daily Eagle (Wichita, Kan. : 1890). (Wichita, KS) 1891-05-08 [P 6]. - Seq-6.pdf.” Accessed November 16, 2016. http://chroniclingamerica.loc.gov/lccn/sn82014635/1891-05-08/ed-1/seq-6.pdf. “WSU Libraries Digital Collections.” Accessed November 10, 2016. http://content.libraries.wsu.edu/cdm/search/searchterm/skolaskin%20/order/nosort.